SmartPhones have gained huge importance in today’s digital era. This importance has made every industry to walk with current digital trends. Nowadays people are more comfortable to make online payments whenever they are doing online shopping, buying any items from any shop or doing any buying process. SmartPhones have brought huge convenience in the life of every single person. If it’s about paying all your bills securely using your mobile, then there are many different innovative mobile payments apps for paying your bills online. 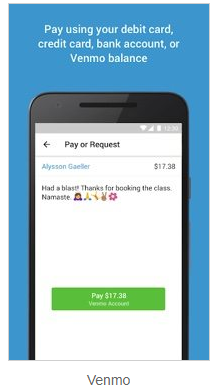 Google Pay has become the most trending and highly secured mobile payment app which is used for doing online payments and as well as payment in stores. Online mobile bill payment is today’s trend and everyone who is using the mobile phone for payment purpose than using Google Pay app you can perform an easy and secure online payment. 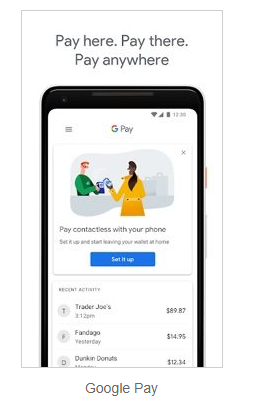 The most interesting thing about Google Pay app is it doesn’t require any bank details as the whole process is done using a peer-to-peer feature. 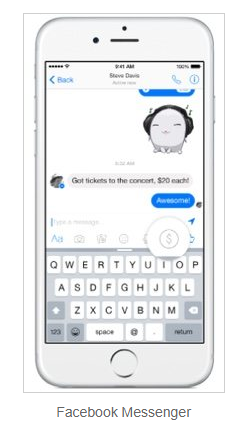 Facebook messenger has raised its use as including the most popular chat app, it has introduced sending and receiving money in the Messenger app. You have to install the latest version of Messenger and add the bank PayPal account which is issued by the bank and add it to your account and pay bill online. after adding the payment information, a PIN will be created for providing extra security for doing the payment next time. You can send money at any place all over the globe using the PayPal account. To send money there is a requirement of recipient’s email id or phone number. 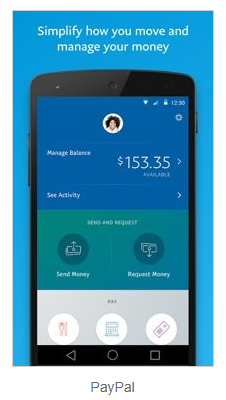 After receiving the money through PayPal, you can quickly withdraw the money or use it in just a few taps. You can manage the whole money like how you spend it and receive it in your mobile wallet. This app is for Apple users who can store Apple pay cash and all the credit and debit card details in the Wallet app with tickets, rewards cards, boarding passes, etc. App Pay majorly works using the credit and debit cards from all the U.S banks. After receiving money, it will get added to your Apple Pay Cash Card that is present in the Wallet App. You can make instant and safe online payments using the Apple Pay app. Also, you can transfer the Apple Pay balance to your personal bank account. 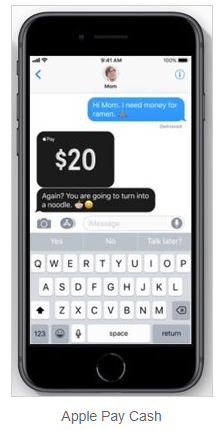 It’s a service of PayPal and is a fun app which is used for sending money between friends and also you can shop at your favorite online stores and pay using Venmo app. With the help of this online payment app, you can pay to your friends and family by linking your bank account or debit or credit card quickly. Also, you can add different notes, or comments, or emojis, on the friends’ stories. Track the finances without any problem or hurdle in between the whole process. Online payment using your mobile is getting a huge hype in the market. With this hype, everyone should keep yourself updated with the current changes in the market. It’s completely up to you where you want to grow in your life as well as where you want to take your business. JC Pay is a money transfer platform based on the mobile phone which uses a fingerprint scanner for doing online payment. You can use it if you are looking for higher security while performing the online payment using your mobile phones.